So did you get locked out of your car? It can happen to anyone on a bad day. If you need to get back inside quickly, it’s not recommended that you watch a car lock pick video on YouTube and attempt to get the door open by yourself. DIY unlocking methods are hazardous – they may end up damaging your door and the lock permanently. It’s much faster and safer if you hire a professional automotive locksmith instead. 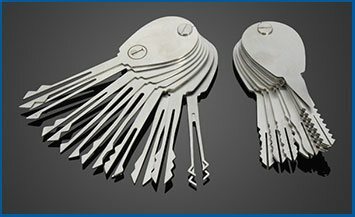 North Easton Locksmith is a professional auto locksmith you can contact, anywhere in the North Easton, MA area, if you need immediate assistance. Are you wondering if it’s expensive to get your car unlocked? Not if you hire our car lock pick expert locksmiths. We can get your car door unlocked quickly as well as affordably. Unlike some service providers, we don’t charge extra if your need is urgent or you need us in the middle of the night. We’ll always charge the same reasonable baseline rate, regardless of the make and model of your car. Our mobile vans allow us to reach most locations in North Easton and beyond in a matter of minutes. We also carry all the tools with us, so we can provide roadside assistance. Want the services of a car lock pick professional? Call 508-217-3332 !